Tarab Tulku Dr. Phil. 1934-2004. Tarab Tulku, Tibetan Lama, concluded his studies in Tibetan Philosophy / "Science of Mind" in Tibet with the highest academic degree of a Lharampa Geshe. Rinpoche was Director of Tibet House in New Delhi, India, a lecturer at Copenhagen University for many years and researcher at the Royal Library of Copenhagen. 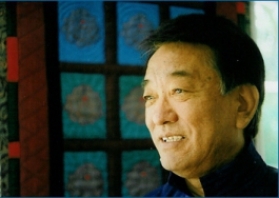 Tarab Ling is a research and study institute to promote the study into the ‘Unity in Duality’ paradigm. Tarab Ling was founded by Tarab Tulku and is situated in the foothills of the Himalayas in North India. The institute provides study facilities and accommodations. 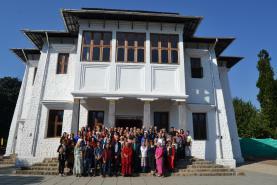 Courses, individual studies as well as conferences are conducted here.